Sigh. This product right here…it’s just kind of…I don’t want to write “weird” because it’s not weird, but definitely a tad useless. As a part of Cover Girl’s new truMagic skin products, the truMagic Skin Perfector I immediately recognized as the drugstore answer to celebrity makeup artist Mally Roncal’s Evercolor Poreless Face Defender. Mally was the first to come out with an innovative clear “powder” that mattifies your makeup to a high performance finish, taking away any extra sheen from your liquid foundation or even the natural shine of having oily skin. I first saw the Face Defender during one of Mally’s super fun makeup shows on HSN or QVC and was instantly intrigued. For some time, there wasn’t been a product like it and Cover Girl is the first to do so along with Stila and their Prime & Anti-Shine Balm. Mally is anti-powder and anti-translucent powder, claiming that it makes us look older, cakier, and that by using powder we’re actually highlighting flaws like our fine lines, not disguising them. There may be some truth to that, but you might also be using the wrong powder. Wearing the wrong shade will certainly highlight said “flaws”. So as the Face Defender remains in my imaginary makeup basket of You-Will-Soon-Be-Mine items, I saw Cover Girl’s version in a Rite Aid store. Since the original has yet to be purchased, I got Cover Girl’s to see if this clear concoction could be a part of my Matte dreams. This is where I now refer back to that “sigh” from earlier. The Skin Perfector did nothing for me personally. I read the packaged instructions and I was unsure as to how this was supposed to work because while the product is clear, its texture is an opaque balm. It read: “Wear alone, under, or over makeup…apply throughout the day for quick touch-ups”. I had already applied my foundation for the day so excitedly I tested it out over my makeup to see how it’ll look that way. Ugh. It didn’t mattify anything, and instead gave me a kind of shine that I definitely did not want at all. With the rounded semi-flat sponge, it also spread my makeup and took some of it off, and I found myself having to re-apply what I was trying to set. So right off the bat, I didn’t get it. I decided that the next day, I would instead use it before my usual putting on my face routine, or shall I say “under” my makeup. When I did use the truMagic Skin Perfector before my makeup, while it was more useful under than over, I didn’t really know if this product was worth it including in achieving the coveted flawless face. I honestly believe that what is leading most makeup lovers to even want this a product like this is to wear over their makeup for discreet touch-ups. I did feel that around my eye area, the skin was more matte, but that also could’ve been thanks to the Models Own Blendeing Sponge I used. I was uneasy about continuing to the Perfector throughout the day because of how it made my makeup more mussy than back to matte. Needless to say, I was disappointed with this so-called Perfector. I guess at this point, Mally’s version may be more fine tuned in its creation, as I found Cover Girl’s balm to be just a lighter version of Vaseline. When used under makeup, it is a decent primer, but I’ve tried better ones for that purpose, like from Make Up For Ever and Black Radiance. 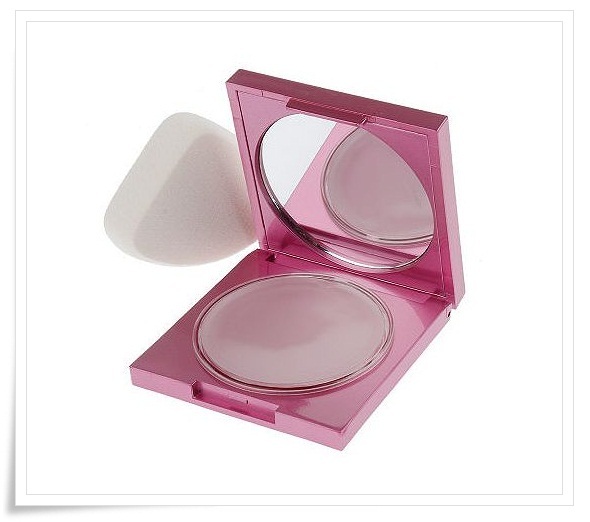 I also found that while the Perfector is intended to be used lightly, you may unintentionally use more than expected and a lot of product is actually not in the actual compact. In just two days I could slightly see the bottom of the compact. So if you proceed to include the truMagic Skin Perfector in your routine, I strongly suggest to apply it as a primer only. While Mally hates us using powder to the 10th degree, until you find a clear defender that won’t have you looking like a glimmering ornament, a little dabbing from ol’ faithful (*cough, cough* powder) won’t hurt for now. Previous Previous post: Have We Really Learned from Beyonce’s “Pretty Hurts”?